Today’s earth-shattering news that Mariah Carey and that billionaire James Packer have split less than a year after announcing their engagement has proven two things: 1) no amount of money can prevent someone from getting cold feet, and 2) I have no idea what I’m talking about when it comes to celebrity romances, because I honestly thought this one would last. Look at that photo of them above. Ahh, September 2015. A month when anything was possible—from love between a pop star and a billionaire, to the release and eventual success of a Nancy Meyers joint about a May-December workplace friendship called The Intern. But September 2015 is long gone, and Packer has packed himself up...and left Carey for good. While Woman’s Day isn’t usually one of my go-to media outlets, I tend to think that they’re on to something in this case, mostly because they’re an Aussie tabloid and Packer is Australian, his home base is in Australia, and I think Woman’s Day might have some sources within the Packer family. 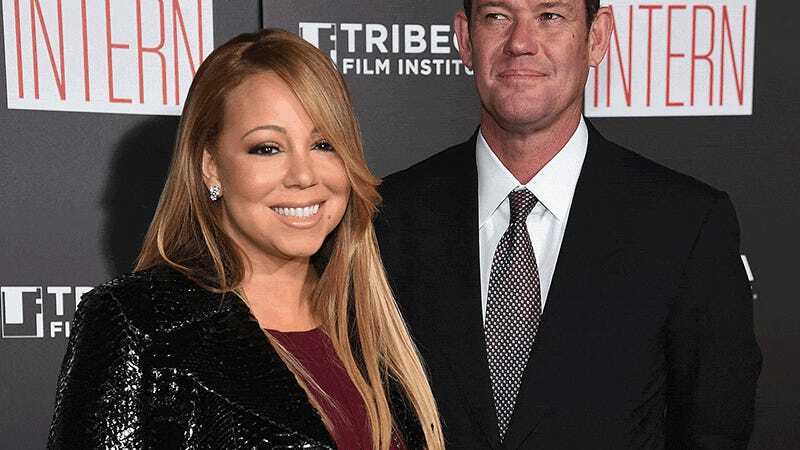 And it’s clear that Packer is the one getting cold feet, like he suddenly came to his senses and realized that, oh right, Mariah is sort of a trainwreck. P.S. they’re both still technically married to other people. How’s that for a vision of love? Justin Timberlake went on NBC Presents: Jimmy Fallon’s Good Time Fun Show For Make Celebrities Seem Like People and claimed he “had no idea” taking a selfie in a voting booth was illegal! NEWSFLASH, JUSTIN: THAT DOESN’T MEAN IT’S OK, JUSTIN. As you may know, Justin was able to AVOID being PUT TO JUSTICE, probably because he is part of the HOLLYWOOD ELITE. Katy Perry will not let this Taylor Swift feud die, and I’m sort of OK with it! I believe pop stars have an obligation to feud with other pop stars in order to remain famous! Why not.